We have a selection of clothing, swimwear and accessories in store. 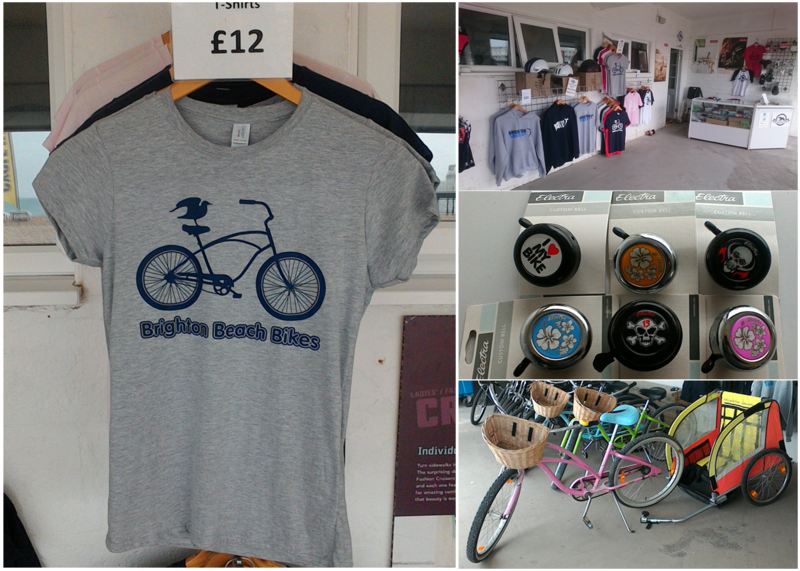 Take home an original design Brighton Beach Bikes t-shirt, or if you want to give your bike that Californian style we’ve some cool bike accessories from Electra. Coming to the beach for a swim? 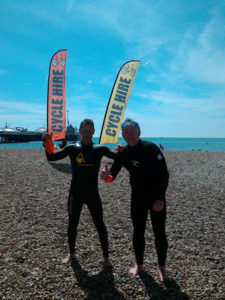 We are experienced sea swimmers and host the Brighton Pier Open Water swim every year, so we carry swimwear, goggles and wetsuits from TYR and Aqua Sphere as well. Looking for open water swimming in Brighton? We swim regularly during the summer months and welcome anybody to join us. Our main swim time is 10 am for a short blast around the marker buoys in front of the shop. Occasionally time will allow for a longer swim. We are always happy to look after your stuff if you want to swim at another time. Just drop in or phone ahead to check we are open. Every year we host the Brighton Pier swim. This is a swim around one of the most iconic coastal landmarks. Click Here >> for more information.